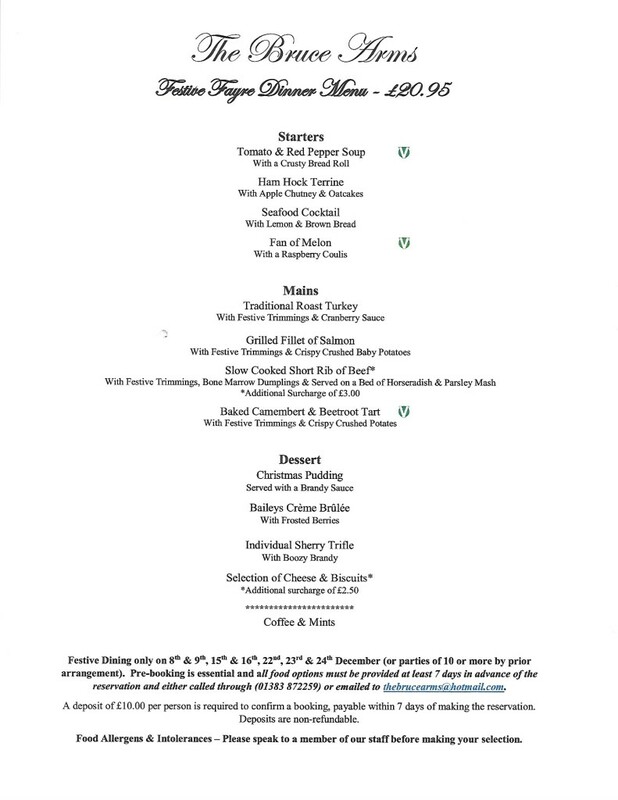 We are pleased to launch our menu for the festive period....... bookings now being taken. reservation and either called through (01383 872259) or emailed to thebrucearms@hotmail.com. A deposit of £10.00 per person is required to confirm a booking, payable within 7 days of making the reservation. Food Allergens & Intolerances – Please speak to a member of our staff before making your selection. Regular Sunday Roasts hosted in our upstairs restaurant, please keep an eye on the website or call to check when next available.